Bubble stop also referred to as bubble gone is designed to absorb the noisy air bubbles formed in the waterbed mattress. The bubbles are actually gas released by bacteria. 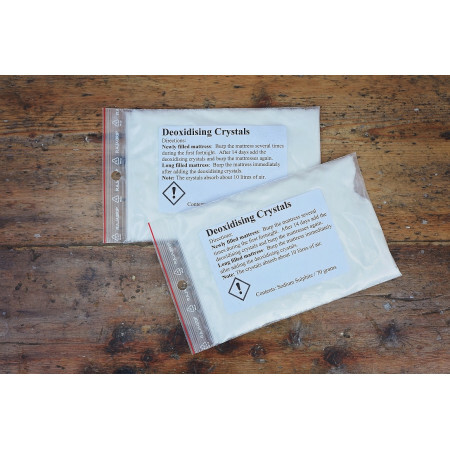 The deoxidising crystal are far more effective than the old liquid bubble stop. You should only need to purchase bubble stop if you repeatedly have to remove the bubbles. Click here to view video on How to remove noisy air bubbles. Bubble stop works in most instances and should last up to one year.